Robby’s early life was spent in the age-old tradition of living out of the proverbial suitcase. Only his suitcase bridged a cultural divide. He traveled between two very different worlds – namely that of New Mexico with its Native customs and Hollywood with its own set of customs unlike any other. After graduating High School, Robby's parents moved from the Land of Enchantment to the City of Angels. Robby’s father worked behind the camera for the David Wolper Organization, while his mother danced her way into show business, signed to MGM, appearing in TV Shows and numerous motion pictures, including a series of Elvis Presley films. Surrounded by some of the most artistic minds of the time, Robby spent much of his childhood in the company of Dennis Hopper, a relationship that would have a powerful, lifelong impact on his own creativity. As Robby matured, he learned to combine the best of what he loved about both of those worlds. He began sitting in with local and national touring bands at his father’s familys’ booming Rock & Roll club, Leo’s La Roc, in Albuquerque. By thirteen, he was singing his songs in Taos Plaza cantinas and recording in Hollywood with celebrated Native American guitarist, Jesse Ed Davis, described in Vintage Magazine as the “guitar hero’s guitar hero”, legendary virtuoso, Van Dyke Parks, eminent recording artist and producer, Johnny Rivers, hipster singer-songwriter and producer, Thomas Jefferson Kaye, and acclaimed producer and record executive, Rob Fraboni. Robby’s music had its radio debut on KROQ in Hollywood, introduced by “The Mayor Of Sunset Strip”, Rodney Bingenheimer. Throughout his youth, Robby performed in Hollywood’s talked-about club scene. He played the Palomino, the Troubadour, the Starwood, the Roxy Theater and the most infamous of all, the Whiskey A-Go-Go. He toured with country singer and Academy Award-nominee, Ronee Blakley, Rock & Roll Hall of Fame inductees, Paul Butterfield of The Butterfield Blues Band, Gene Clark of The Byrds, and Rick Danko of The Band. 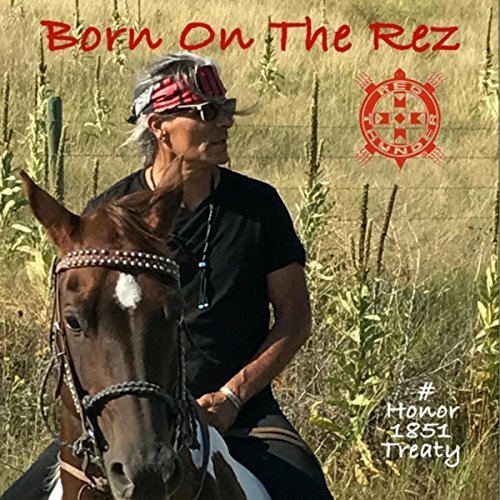 But it was his apprenticeships with Latin activist, Reyes Lopez Tijerina, and Native American activist, Dennis Banks, that would change the course of Robby’s life and put him on the Red Road he was born to follow. To Robby Romero, my son, my friend, so many places, faces, dangers.